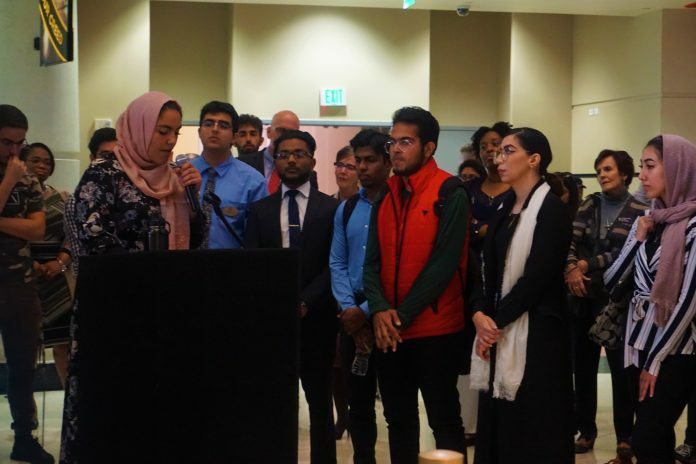 Randah El-Gendi, sophomore MSA treasurer, speaks words of unity and encouragement in light of the massacre. 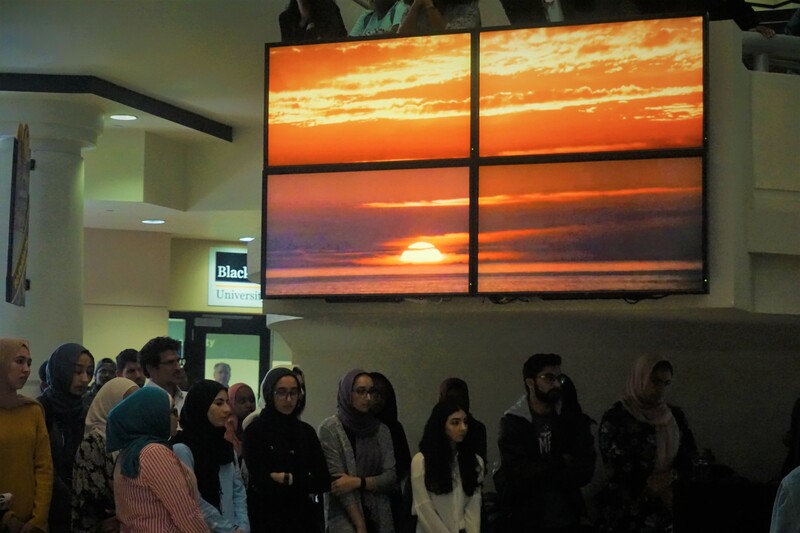 The Muslim Student Association hosted a vigil in honor of the victims of the massacre in New Zealand Friday afternoon in the Student Union. The student union atrium Friday afternoon was filled with candles and the names of the victims on the UCF Pegasus, as well as about 70 people in attendance. MSA student board, UCF interim president and the UCF police chief gave condolences and words of encouragement and unity in response to the atrocity, and how the community should respond. A moment of silence held for the lives lost at Christ Church in New Zealand. Randah El-Gendi, sophomore MSA treasurer shared why she felt it was important to help make this event. Rasha Mubarak, vice president of the Muslim Women’s Organization of Orlando said this moment is a call to action to be cautious aware but not afraid. Mubarak went on to speak about the importance of civic engagement. Carl Metzger, UCF police chief spoke about the UCF response to the attack.